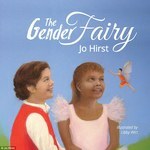 The Gender Fairy is a simple story about two children who find relief in finally being heard. Hirst, Jo, "The Gender Fairy" (2015). DIVerse Families. 196.